Good morning, fellow Salon Members! I hope everyone had a safe and happy holiday. I received some loverly books for Christmas this year: my uncle sent me The Annotated Alice in Wonderland, The New Annotated Dracula, Ken Kesey's One Flew Over the Cuckoo's Nest, Cormac McCarthy's Blood Meridian, Anne Rice's Angel Time and the first volume in the Bloom County, The Complete Library series by Berkeley Breathed; my mom got me May Sarton's poetry collection The Lion and the Rose, John Connolly's The Gates and Audrey Niffenegger's Her Fearful Symmetry; my sister got me a replacement copy of Erik Larson's The Devil in the White City as she absconded with my copy earlier in the year; my LibraryThing SantaThing, bookworm12, sent me Richard Russo's Empire Falls, Orson Scott Card's Ender's Shadow and Jasper Fforde's Thursday Next, First Among Sequels; and my friend Kristin got me The Picture of Dorian Gray by Oscar Wilde. I bought myself a couple of books, as well: Let the Great World Spin by Colum McCann, The Impulsive Imp by Howard O'Brien (Anne Rice's father), The Mystery of Edwin Drood by Charles Dickens and Soulless by Gail Carriger. My sister also helped me get a copy of Gregory Maguire's The Next Queen of Heaven from the Concord Free Press. So, I'm looking at a January filled with some great reading! Looking back on my reading for 2009, I can honestly that I disappointed myself a little. After reaching such a grand goal of 100 books in 2008, I really thought I could do the same again this year. Well, I just squeezed in my 75th book of the year, and that's including 12 audiobooks this year, the most I've ever listened to in a year. So really, I only read 63 books this year. I think part of the problem was that I tried to throw myself into too many ready challenges right at the beginning of the year, so that I was feeling overwhelmed by them from almost the very beginning. Another was that I got so sick in March and didn't feel like reading anything for the better part of 2 months. Then in August, for whatever reason I only read one book, and then the same happened again this month (but December was an extraordinarily hectic month for me, so I'm letting that one slide). Overall, just a unusual reading year for me. I only read 5 off the 1001 List and 3 Agatha Christie's. Twelve books were audiobooks, and 13 were ARC's. One thing I'd like to do in 2009 is cut back on the number of ARC's that I'm requesting. 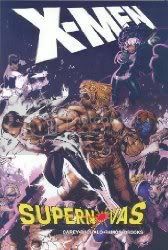 I think I'm going to stick to the LibraryThing Early Reviewer program, as that's where I started and I've got so many greats books of my own that I'd like to read, I think it would just be best to take a step back from the ARC's for awhile. Not my best reading year, but I guess it's not so bad either, when I start looking at it like this. Looking ahead to 2010, I've set up some reading challenges for myself: a Baker's Dozen Challenge (13 books with the number 13 somehow in the title); If Neil Wrote It, I Want to Read It (basically, I want to work my way through most of Neil Gaiman's work this year as I've read most of his YA and kids stuff, but somehow have never gotten around to his novels...); my 1001 Challenge (1 book a month from the 1001 List); and my Agatha Christie Challenge (1 book a month). I've also joined the 1010 in 2010 group on LibraryThing, where you read any number of books in 10 categories of your choosing. What's good about many of these challenges is that multiple books will be able to cross over into other challenges. So, hopefully we'll be able to see how that goes for me this year. A little more flexibility in these challenges will be better for me in the long run. At least, that's my hope and I'm sticking to it for right now. Not much else to report on this final Salon of 2009. I've still got the contest open for a set of J.F. Enlgert's Bull Moose Dog Run series of comedy mysteries. I hope everyone enters and then tells their friends about it. The series is a lot of fun to read, and I'd really like to spread the word! The contest will be open until Friday, January 8, 2010 and you can enter here. I hope everyone has a great New Year's and happy reading! J.F. Englert's latest installment in his clever Bull Moose Dog Run mystery series, A Dog at Sea, is going to be released later this year, and in celebration of the release, I'm giving away a set of all three books! 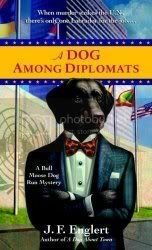 You can read my reviews of the series here (A Dog About Town), here (A Dog Among Diplomats) and here (A Dog At Sea). I'll be shipping the books through Amazon, so this giveaway is only going to be open to the U.S. this time. Also, because of Amazon's 4-for-3 deal, if the new book is included in this promotion after it is released, I'll even throw in a fourth book of the winner's choosing so long as it is covered under the promotion and is under $9.99. If the new book is not covered under the 4-for-3 deal, you'll just be getting the 3 books. I'll leave this giveaway open until January 8, 2010 (that gives Amazon plenty of time to get the book in stock). These books are really good and I'd like the word to get out as much as possible, so please let your fellow reader friends know about the contest!! For Randolph and his owner, Harry, a struggling artist, it was dog heaven: a pet lovers cruise filled with canine experts and gung-ho trainers—plus plenty of art lectures for Harry and midnight buffets for Randolph. The two have come on board to follow clues that they hope will lead to the whereabouts of the long-lost Imogen, Randolph’s mistress and Harry’s beloved girlfriend. But no one prepared Randolph for being put on a diet (the horror! ), not to mention a new meaning for “poop deck”—or anything about murder. Especially when one victim gets killed twice. In the latest installment of J.F. Englert's clever Bull Moose Dog Run mystery series, A Dog at Sea, we find our narrator Randolph, an acutely intelligent black Labrador with a penchant for good literature and an expanding waistline, and his human, Harry, on what seems to be a harmless dog-lover's pleasure cruise headed for Curaçao. In reality, the cruise is a useful cover story for their continued search for Imogen, Harry's love and Randolph's true owner. As typically happens with Randolph and Harry, they find themselves involved, through circumstances beyond their control, in a murder mystery and Randolph takes it upon himself to get to the bottom of it all. After the events of A Dog Among Diplomats when Harry and Randolph discover possible clues to Imogen's whereabouts, they decide to follow the clues to Curaçao to see if they can find her. Using the cruise as a cover for their real purpose, Harry and Randolph also decide to use their time to rest and recuperate. However, this idea is short-lived after what appears to be a suicide on board the ship leads Randolph to think that there is something more going on. 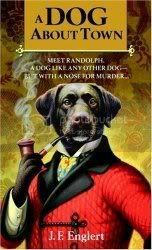 Using what limited lines of communication are available to his canine self and the help of Cha Cha the New Yorkie, Randolph helps lead Harry to the necessary clues to help solve the murder in a final whodunit reveal that would have made Dame Christie proud. It is a story of professional ambition (at any cost), unrequited love, corporate sponsored tropical storms and psychotropic doggie treats on the high seas. I use the word "mystery" loosely here in describing the book. Englert's books are hard to categorize, but since there is a murder mystery in each book, this seems to be the easiest place to shoehorn them. The previous books are so much more than mere "murder mysteries" and A Dog at Sea is no exception. There is also the continuing mystery about Imogen, her whereabouts and the secrets surrounding her past. The books can also be labeled just as easily as comedies; Englert has a knack for creating memorable characters and his sense of humor is the perfect balance of dry wit and downright funny. I found myself laughing out loud through several parts of the book. However, what constantly surprises me in each book, and again A Dog at Sea is no exception, is Randolph's insight into the human condition. From his dog point of view looking out on the people around him, he is able to have a keener perspective on what makes people tick, and those human qualities are reflected back through him; his need for companionship, his feelings of loss and betrayal by Imogen, his loyalty to Harry. It's these very human emotions that Randolph feels that really make the books stand out for me; that in the midst of all the chaos of the murder and the humor sprinkled throughout the book, there are these shining moments of real emotion. I don't know; maybe I'm reading too much into the books, but I honestly feel that J.F. Englert has a really unique and refreshing way of telling Randolph's story and I'm hoping that we'll be able to read more of his adventures in the future. A Dog at Sea will be released on December 29, 2009 through Dell. To read more of Randolph's own views on the world, stop by his blog. Also, I'm giving away a set of all three Bull Moose Dog Run books here. And finally, you can read my interview with J.F. Englert from last year here. Sunday Salon 12 XII 2009 - Not too much to report except that we have a winner! Good morning, fellow Salon Members! Ah, the holiday season. The spreading of good cheer. The holiday cards to be filled out and mailed. The shopping. The baking. The total lack of enough hours in the day to get it all done. Where does the time go? Have I gotten those reviews written that I was going to get done last week? Nope. Have I read any another book since last week? And, nope. Do I hope that I can at least get one more book in before the end of the year. I hope so! On a positive note, I've got a winner for the copy of James Dashner's The Maze Runner that I was giving away; congratulations to Sarah! She was lucky enough to have her name pulled from the hat. If you didn't win, don't despair! I've still got a giveaway going for a set of J.F. Englert's Bull Moose Dog Run Mystery books here. Good luck! So, not much else to report for this week. I'm sitting on my bed while I'm typing this Salon, and I'm looking at my bookshelves and realizing that it's time to do some serious reorganizing and purging. I know that I have several books that I will never read again and maybe it's time to clean those out. Plus, the shelves are getting a little unorganized, so I think I'm going to have to take a weekend after the first of the year and do some serious housecleaning on them. Take out the stuff that I know I won't reread and get it all alphabetized again. That will be a good project for a nice, snowy weekend. Anybody else feel the need to do some housecleaning on their books too? Don't forget, I've got 2 giveaways currently on my blog. The first is for a copy of The Maze Runner by James Dashner, and the second is for a set of all 3 of the Bull Moose Dog Run Mysteries by J.F. Englert. I'm closing up the James Dashner giveaway this Sunday, December 13, so don't forget to stop by to find out all the details about entering. The J.F. Englert giveaway will be open until January 8, 2010, so that Amazon has enough time to get the books in stock. J.F. 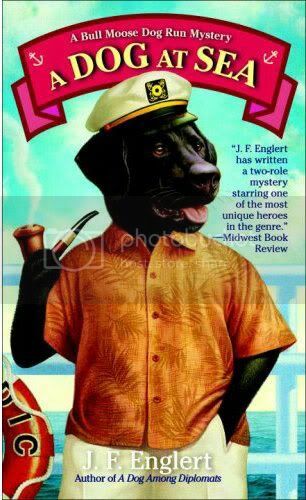 Englert's latest installment in his Bull Moose Dog Run mystery series, A Dog at Sea, is going to be released later this year, and in celebration of the release, I'm giving away a set of all three books! You can read my reviews of the first two books in the series here (A Dog About Town) and here (A Dog Among Dilpomats). For a chance to win, just leave a comment to this post. If you would like more entries, follow my blog (if you are already, just let me know), link back to this post from your blog and tweet or mention this on Facebook! Just let me know that you've done each of these things and I'll throw your name in the hat again. 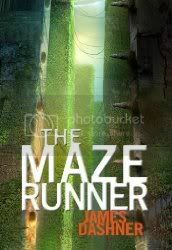 I had the opportunity to meet James Dashner last month, and due to circumstances beyond my control, I had to buy a second copy of his new book, The Maze Runner, in order to get a signed copy. But this works out in your favor! Because, now that I have 2 copies of the book, I have one to share. So, I'll be sending off my extra copy to one lucky reader. All you need to do is leave a comment here. And for extra entries, follow my blog (if you are already, just let me know), link back to this post from your blog and tweet or mention this on Facebook! I'll leave this open until next Sunday, December 13, 2009. Sunday Salon 6 XII 2009 - November Wrap-up, Looking Ahead to December and Giveaways! Good morning, fellow Salon Members! I hope everyone had a safe and happy Thanksgiving! I spent a loverly day with my mom, who made a 22lb turkey for the two of us. Yes, a 22lb turkey for two people. Because it was on sale and would have been a waste not to buy it. I have had so much turkey in the last couple of weeks that if I don't have turkey again until next Thanksgiving, it may be too soon!! For the most part, everything that I read this month was good. The Looking Glass Wars stuff is always a good read, and with the third book finally released, it was great to be able to sit down and read the entire series through. 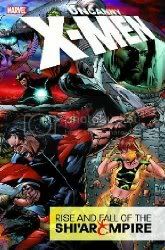 The X-Men stuff, again, is nothing staggering in the literary sense, but still fun escapism all the same. A Christmas Carol is a yearly read for me, so I really shouldn't count it, but I do. It's one of my favorite Christmas stories, and with the release of the new Disney animated film this year, I've enjoyed it that much more. I am going to try to read one of Dickens' other Christmas stories before the end of the year. 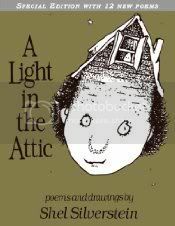 I had never read A Light in the Attic before (in fact, I think the extent of my Shel Silverstein knowledge to this point was The Giving Tree) and when this new anniversary edition was released, I picked up a copy for both myself and my sister, who loves Silverstein. Well, I hate to say it, but I don't know that I'll ever pick up another again. Maybe I just missed out on him as a kid, so I don't have that attachment to him now, but I wasn't all that impressed with the poems, and quite frankly I found some of them to be downright disturbing (especially the ones about kids dying). Maybe I'm just missing the point, but not for me at all. Ella Minnow Pea was another reread for me; I had originally check it out from the library, and enjoyed it so much that when I found a copy of it at a used bookstore during my last trip to Chicago, I picked it up to read on the train ride home. 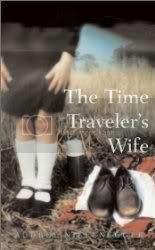 Finally, many of my friends have been telling me that I would love The Time Traveler's Wife, not only because it is a extraordinarily written book, but because it takes place in Chicago and I'd recognize most of the locations in the book, and they were right on all counts! It topped my reading for the month as my favorite book!! You're probably noticing some skipped reviews up there, and I'm hoping that I can get to them today. They'll be up by the end of the week for sure. December is going to be another slow reading month for me, I can tell already. There is just so much to do with the holidays and all. Like I said, I do want to try to get in one more Dickens Christmas story, and I have two books that I will be reviewing, Elle Newmark's The Book of Unholy Mischief and J.F. Englert's latest, A Dog at Sea. 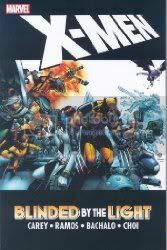 Beyond that, maybe a couple more X-Men collected editions? Nothing too heavy, that's for sure! Now, for the giveaways! I had the opportunity to finally meet James Dashner last month, and since I didn't have a copy of his new book handy (The Maze Runner, it was a my house and I was house sitting for my mom), I just went ahead and picked up another copy for him to sign (and again, no camera, so no picture! Curses!). Well, the good news for you is, I'm giving away my other copy to a lucky reader! My other giveaway is a full set of J.F. Englert's books (A Dog About Town, A Dog Among Diplomats and A Dog at Sea). Stop by and enter! That's all for this Sunday. Happy reading, everyone! I received an email not too long ago from Lorin Morgan-Richards wondering if I would mind reviewing his book, Simon Snootle and OTHER small stories. I'm leery of reviewing home-published books; I've received some less than stellar books this way in the past, but I thought I'd at least do a little research and looked the book up on Amazon and LibraryThing. After discovering that it has received 5 stars across the board at both of these sites, I thought I'd go ahead and offer to review it. 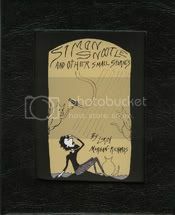 Simon Snootle and OTHER small stories is a collection of seven short stories that introduce us to a variety of characters who all live very bizarre lives. For instance, Simon Snootle himself lives in a cistern with some cats, where he fell as a child and his parents never bothered to pull him out, in fear of what else may come up with him; or Mr. Slowbug, who may or may not have discovered that he is forever more going to be a fashion accessory. The stories are quirky and unusual and the accompanying illustrations fit the mood of the stories perfectly. However, I honestly think that unless you are a fan of the likes of Edward Gorey or Tim Burton, you probably won't get much out of these stories; but the Gorey and Burton fans will love this book. What makes the volume really shine, however, is the physical book itself; it is handmade! In the author's own words: "...I wanted to make sure I had a personal connection with how each book was created...writing, illustrating, drafting, printing, binding, and pressing each by hand." To say that Lorin Morgan-Richards made a small work of art out his book is an understatement. The book is printed on acid-free paper and bound in a faux-leather cover, and the finished product is a loverly little edition that has a slight quirkiness and imperfection to itself that goes right along with the characters that are held inside it's pages; honestly, I could easily see this sitting on any bookshelf in any store, it is so well presented. Fans of Gorey and Burton and the like, don't hesitate to pick up a copy for yourself, as I don't think you will be disappointed. Morgan-Richards has created a host of fun characters and has given them a place to live in a beautiful, homemade book. The stories are quick and it won't take you much time at all to finish reading the book, but the overall package and the effort that Morgan-Richards put into his book from start to finish will certainly impress you as it did me. For more information on Lorin Morgan-Richards or to order a copy of Simon Snootle and OTHER small stories for yourself, visit www.lorinrichards.com. 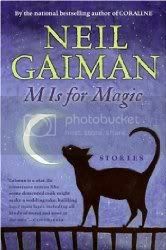 M is for Magic is a delightfully creepy collection of short stories from Neil Gaiman. These stories are typical Neil Gaiman, and I find that is a phrase that I frequently use about his work, but that's the best way to put it: typical Neil Gaiman. He has a way of writing something that is so fantastical in such a matter-of-fact way that if you were to encounter one of these stories in the real world, you'd feel like it was an everyday occurance, yet special all the same. The stories are written for a younger audience, so they aren't quite as creepy as they could be, but that isn't saying that these stories aren't creepy and a little dark in their own right. Some of the stories that stuck out the most for me: The Case of the Four and Twenty Blackbirds is a perfect example of Mother Goose meets crime pulp fiction; Don't Ask Jack is a little disturbing in it's vagueness and the secrets the Jack in the Box holds; Sunbird tells the tale of the Epicurian Club and their desire to expand their appetites to the extreme; and The Witch's Headstone was later incorporated into The Graveyard Book. The accompanying illustrations by Teddy Kristiansen are dark and creepy, so they fit in with the rest of the stories perfectly. 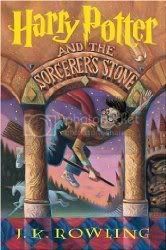 I enjoyed M is for Magic, but I'm thinking I should have maybe spaced the stories out a little more instead of reading them all at one time. Once finished, I was left wanting a little more, and I think that's because they are short stories, and I really wanted a little more substance from my latest Gaiman selection. Maybe it's time to move onto one of his novels for an "older" audience, or maybe revisit The Graveyard Book; don't get me wrong, I really enjoyed these stories. Maybe as a bit of advice to other readers, space them out. You'll be able to savour them that much more. Berkeley Breathed takes us on another adventure that is both wild and touching in his book, Mars Needs Moms!. Young Milo sees his mother as nothing more than a bossy, vegetable-pushing, chore-demanding tyrant, and he doesn't quite see what's so special about her. However, on the night that he witnesses her being kidnapped by martians, Milo learns what it is that makes all mothers so special. The art in the book, in typical Berkeley style, is as quirky and colorful as ever. And his story, while being perfectly ridiculous, is filled with such heart and soul that anyone reading it can't help but love it. A perfect addition to Berkeley Breathed's ever-growing collection of kids books (that are perfect for adults as well!). 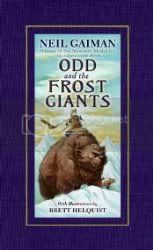 Neil Gaiman wrote Odd and the Frost Giants for World Book Day in the UK. It is the story of Odd, a Viking child who has had some very bad luck in his short life: his father died, his leg is crushed, his mother remarries a not so kind stepfather, winter seems to never end. In frustration, Odd decides to leave his village and live in the woods. One day, Odd finds himself in the company of a fox, a bear and an eagle, and they have a story to tell Odd; a story that involves Asgard, Midgard, gods and giants, deceit and mischief and cleverness, and Odd finds himself eventually part of their story. 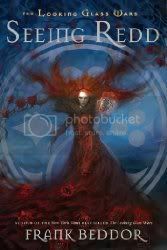 It's a quick tale, and while it doesn't pull the reader into the heart of the story like some of his other books (The Graveyard Book, for instance), Gaiman's writing is still clever, fun and original. If you are a fan of Gaiman's work, I don't think you'll be disappointed in this story. Not much more can be said for this children's classic tale that hasn't already been said before. I'm almost sure that everyone has read this at one point or another in their lives, and if you haven't, it's worth it. I know that it is the illustrations I remember most from my childhood, and as I read it again in preparation to see the new film version, they all came back to me in a rush of nostalgia! No child's library should be without this book. Having said that, the film version of Where the Wild Things Are really is a different creature entirely. I'm not sure that young fans of the book today will understand the film; the more that I've thought about the movie over the last couple of days, the more I believe it is the generation of parents of today's children that this movie is made for. We will understand the film so much more than our children will. I've talked to a couple of friends who took their children to see it, and in most cases, the movie scared their children, yet the parents got it. I think it deals with many of the insecurities that we all had as children, being angry and not being understood, not having a clear idea how to deal with love, either giving or taking of it, and now that we are grown, we can look back at our childhoods and understand better what the story is about. In my opinion, Spike Jonze took Sendak's story and pulled from it all the elements that made it perfect for us as children, and made it into a film that makes us nostalgic for that time of our lives, but as seen through the eyes of our adult selves as we relive those emotions through the cinematic eyes of Max. I still stand behind the idea that the book should belong in every children's library (and perhaps every adult's library, too) but the film should be watched by parents first, before taking their children to see it. Good morning, fellow Salon Members! It has been positively an age since I participated in the Salon, but I've felt out of the loop for so long now that I took a big step back from everything. I've read very little the last couple of months, and am just now feeling like I am going to get back on track. I don't think there is anyway that I can reach my 100 book goal for the year, so I'm just going to go along as best I can and see what I can finish for the year. I have read some very good books the last couple of weeks, however. Everything that I've picked up I've enjoyed immensely, so that helped get me back in the mood (not that what I was reading before wasn't any good, but these last several books just really stuck with me after reading them). Some of the books that I have particularly enjoyed are Dacre Stoker and Ian Holt's Dracula the Un-Dead, James Dashner's The Maze Runner, Suzanne Collins' Catching Fire and Garth Stein's The Art of Racing in the Rain. 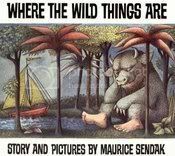 I have a few books that I need to review yet: Nail Gaiman's Odd and the Frost Giants, Leonie Swann's Three Bags Full and my thoughts on Maurice Sendak's Where the Wild Things Are and the film version, all of which I hope to get to today. I'm getting into the Halloween spirit by reading Joe Hill's 20th Century Ghosts right now and then I'll be moving on to a collection of ghost stories by Edith Wharton. I've been surprised by the Joe Hill collection. I wasn't sure what to expect from him, having only read the first volume in his comics series, Locke and Key, which I enjoyed, but just because someone can write comics well doesn't mean that they can write short stories, too. Well, I can say that 3 stories into the collection, and I'm suitably impressed. For those not familiar with Joe Hill, his father is Stephen King (you may have heard of him). The stories so far in 20th Century Ghosts are not your run of the mill horror fodder (well, the first one is...). These stories have heart and soul, and even though they are ghost stories, they are told with feeling. I'm sure that some more in the collection will fall more into the horror genre itself, but Hill has proven already that he can take the idea of the ghost story in a direction that most people wouldn't recognize or expect. Beyond my few Halloween selections that I've been saving for the season, I've got some other really good books sitting here, waiting patiently to be read. I wish there was more hours in a day sometimes, just so I could have more time to read. I just need to find someone that will hire me on full time as a book reviewer... What, a guy can dream, can't he? Oh well. So, there is my Sunday Salon. Such a sparse entry after such a long time, I know, but I'm taking baby steps getting back into my old routines. I fell in love with Three Bags Full in it's very first pages. It's a story about Irish sheep who set out on a mission to discover the murderer of their beloved shepherd, George, who has been stabbed through with a spade. It's a story fill with lovable characters; more to point, the sheep, and their thoughts on humans and the way the world works around them and their observations on it all. It's a comedy. It's a mystery. It's a little bit of everything, all rolled into a big, woolly yarn of a tale that is both in turns ingenious, funny and inspiring. When George's flock discovers his body in the meadow one day, stabbed through with a spade, their initial reaction is panic. But to Miss Maple, the cleverest sheep in all of Glennkill, this is something more than just the death of their shepherd: this is a murder mystery. So, she takes it upon herself to discover the murderer, and eventually she is able to convince the rest of the flock to partake in the mystery as well. George was a kind shepherd and took very good care of his sheep, even reading to them in the evenings, and so they take their knowledge of the human character as they have seen through their stories, and begin on a mission to bring justice to their dear, departed shepherd. The village of Glennkill itself is inhabited by a colorful cast of characters, all whom we learn about through the eyes of the sheep. The sheep have a keen perspective on human nature and the character buildup of the members of the village. Through the course of their investigation, however, they do begin to see people in a new light, discovering that everyone may not be categorized into their initial, limited sheepish view of people. It's through these growing observations that the story really starts to take off, as the sheep themselves begin to view themselves differently as they learn to care for themselves without having a shepherd about. The story does end on a rather serious note, going in a direction that I honestly did not expect at all. The book is for the most part a fun little story, humorous throughout (I mean, honestly, how can murder mystery solving sheep not be funny? ), yet the story loops around and becomes a lesson learned on people and the solitude that they have in their life. Not that the story ends sadly, but it becomes more philosophical than funny at the end, really making the reader question the life of not only the sheep, but their beloved shepherd as well. 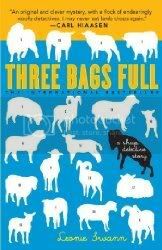 I would like to see Swann continue the story of the Glennkill sheep (and she obviously left the story open for more). I would greatly like to see their further adventures and watch them as they discover more mysteries to unravel. 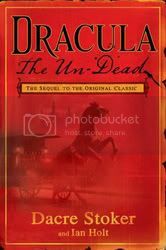 Dacre Stoker and Ian Holt's Dracula, the Un-Dead is the first official sequel to Bram Stoker's original Dracula. Dacre Stoker, a direct descendant of Bram Stoker and Ian Holt, a well-known Dracula historian, have pieced together a sequel based on notes that Bram Stoker had left about characters and plots that were removed from the original book. I really enjoyed the story, if some of the plot threads seemed rather rushed. Taking place about 20 years after the events in Dracula, all the key players are still alive: Mina and Jonathan Harker are married, if somewhat unhappily, with a son, Quincey (named after Quincey Morris, who lost his life battling Dracula); Jack Seward has gone mad and has fallen more into his morphine addiction; Arthur Holmwood has taken up the title of Lord Godalming and is trying to forget the love of his life, Lucy Westenra; and Van Helsing is an old man now, trying to live long enough to finish his battle against the supernatural. Each of the key players from the original story have a part to play in this continuation, and each has to pay for their mistakes from before, one way or another. We are finally introduced to more vampires, and begin to understand that there may be quite a few in the world. The main antagonist in the story is Countess Elizabeth Bathory, a centuries-old vampire who considers herself queen of her kind. She has turned from God completely, due to not only her vampiric state but also because she is a lesbian, and has been frowned upon by her family and the church since she was mortal. She holds a particular grudge against Dracula, and that grudge is never quite made apparent, nor is it clear on what Dracula's role in this story, or even his involvement in the original Dracula is, since we, as readers, may have been deceived from the beginning. The weaving of historical figures and facts into the story was quite clever. There are ties to the Jack the Ripper murders in the story, and Bram Stoker himself even makes a guest appearance. You could tell that Stoker and Holt have done their homework, drawing on what I'm assuming are actual facts surrounding Bram Stoker's original ideas for the book and compounding on those, even dropping some of the history behind Dracula into this book as well. I would have given this book 5 stars, except for the way the story ended. Having received an advanced reader copy, I don't know if I am just missing something from the ending of my copy of the book or not, but the story simply stops. I was riding along on a wave of anticipation, waiting to see what happens next, totally engulfed in the story, and I turn the page and... nothing. We get to a certain point, left with possible cliffhangers, but there is nothing left in the book; no indication that this is the first book in a series and that the story will be continued in a later edition, just nothing. 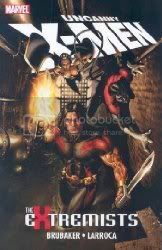 So, I'll have to be stopping off to the store now to find a copy and see if there is still something left to this story that was left out of the edition I have, or if there is going to be another book released later. And if that is going to be the case, I'm going to be annoyed. I wish that they could just release everything into one book and be done with it. The trend of constantly needing to leave people dangling with such cliffhangers is getting a little overplayed, I feel. Other than the book simply ending like it did, with no type of resolution whatsoever, I found the story to be completely entertaining. 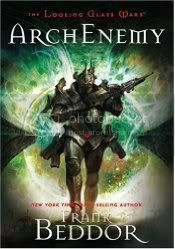 It was a fast-paced, roller coaster of a ride, touching on all the characters from the original, and adding in new characters that complimented the story well. I found myself missing the Gothic feel of the writing of the original, but writing another book in that style today probably wouldn't go over so well. I have read Dracula several times now, and part of my love for the story is the writing. 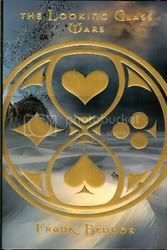 I was hoping that this book would continue in that theme, also continuing on with the story told through the letters and journals of the key characters, like the original was. Stoker and Holt, however, have taken the book and really made it their own. It lacks something of the Gothic feel of the original, but plays homage enough to it that you can overlook the large stylistic changes. Overall, a fun read and a good enough sequel to the original. It turns out that the copy of the book I received is missing the last 3-4 chapters (I checked a final copy at B&N the other day). As soon as I get a new copy in hand and actually finish the book, I may have more thoughts on the story.